Beautiful, Custom, Spanish Colonial Home has 4 bedrooms, 2 baths and boasts a grand feel. Home has so many neat features that you will admire immediately as you drive up to this wonderful home. You will instantly appreciate how this home is accented with massive oak trees and a phenomenal magnolia tree. 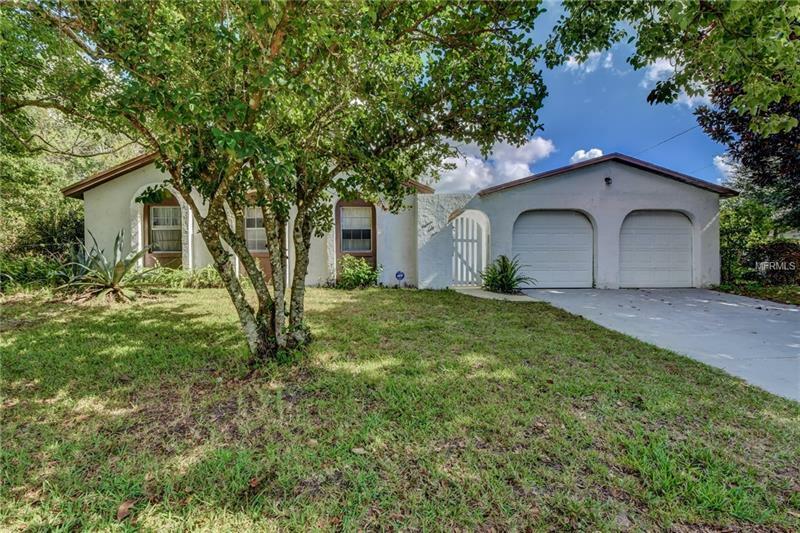 As you walk through the front gate, you will be greeted by a beautiful court yard entrance filled with Florida native vegetation bringing you up to an attractive wrought iron security gate. Inside you will find well-formed wood trim and beams, impressive high cathedral ceilings, massive front door, ample closets for storage, huge sliding doors that create a bright, large, airy feel and so much more. There is a convenient large detached garage with garage doors that offer a pass through to the back yard. The large completely fenced back and side yard is surrounded with beautiful cascading trees creating privacy and lots of shade, you will even find two sheds for storage. This custom well designed wonderful home is an outstanding canvas just waiting for elaborate updating and personal touches.